Roblox has setup their micro transactions so they can make money, the idea of the price range was all up to them and no one else. Sometimes these game developers are just money hungry and kids can talk their parents into buying them Roblox cards. Yeah its so insane! we don't just have 3000 dollars to spend on a video game! WHY ARE ANTLERS AND DOMINUS SO EXPENSIVE, all i want is some antlers, but the cheap ones are offsale. Yes ROBLOX has made their limited items go up so high that no one except from popular map creators or 'youtubers' get. 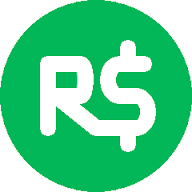 ROBLOX wants little children playing the game to ask their parents to buy robux which is $199.95 (highest) and you only get 35,000 robux when there is items worth millions. I have some limiteds stuff But they cost soo much money in real life. It also opens up the opportunity for bullying. People who do have a lot of Robux tend to pick on less fortunate players. The price of virtual items is borderline criminal and gouging at best. Roblox needs to get that under ctrl. Tix removal inflated limited items making them more costly, people who owned them became rich. Its called luck/investing. Your comments just irrelevant when it's to do with a kids game. What they did was downright disgusting, greedy, money driven and just blatant trying to exploit children into buying things with their parents credit cards become they don't know any better. exactlyyy, like the 199.99 pack only gives you like 22000. these packs are so unreasonable . and the catalog is so over priced. I noticed they raised an item from 50000 to 334000 . just like fortnite they over price things and keep putting out more and more trying to get people to buy things . This has become so bad, I think a boycot may be coming. At the very least, I may force my kids to delete all together. Talk about an unappreciative company.